Creating cabinets that help clients express their unique visions of functionality and style is a hallmark of Grabill Cabinets. This is why we’re so delighted with the Houzz.com feature, Houzz Quiz: What Style of Kitchen Should You Have? Based on the preferences you select, the feature presents the kitchen of your dreams. 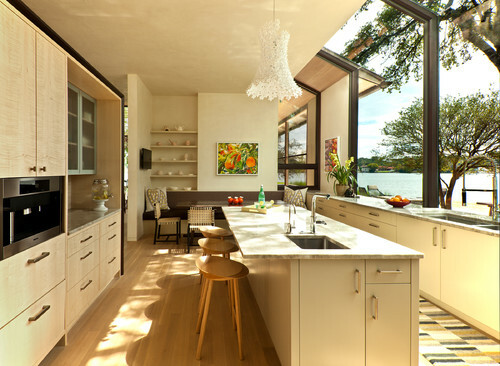 Houzz Quiz: What Style of Kitchen Should You Have? What do you want most in your kitchen? Choose the single most important element or vibe you’re looking for in a kitchen. Pick a countertop material. A full list of available countertops. Pick an accessory. Decorative elements that add personality to your kitchen. Pick a cooking ingredient. Which condiments or spices do you love using the most? Pick a palette. Combinations of building materials and/or color combinations. Where do you wish to live? Choose the location you like the most. Pick a light fixture. Select the type of lighting you like the best in your dream kitchen. Pick a dessert. Select your favorite dessert. Pick a parting phrase. Choose your favorite of 14 ways to say good bye. Then, voila, the web site gives you the most appropriate type of kitchen, given your preferences, complete with a brief description and photos.